Hello. BBC2 here, so glad you dropped in to read our blog and thank you for doing so! The weather is improving which means things are starting to grow and flower in the garden and the air is heady with the smell of sweet perfume. I must say I enjoy being in the garden with my radio playing, cutting back something, planting something or just pottering and then taking a break, coming in for a cup of tea and a biscuit. Which brings me neatly onto my Coconut Syrup Dodgers, I was out in the garden the other day when it started to rain so I came in and made myself a cup of tea but, shock, horror and surprise we had no biscuits! So I looked at what we had to make something with and came up with these, do give them a try, they are quick and easy to make. Preheat the oven to 190c fan. Mix desiccated coconut and 1 tablespoon of milk together in a small bowl and set to one side for a couple of minutes. Put the flour and sugar into a food processor and pulse a few times to mix them. Now add the butter and pulse until you have fine breadcrumbs. Next add the desiccated coconut and combine. Now add the egg and pulse to bring the mixture together as a soft dough, if it is too dry add a little milk, if it is too wet add a little more flour. 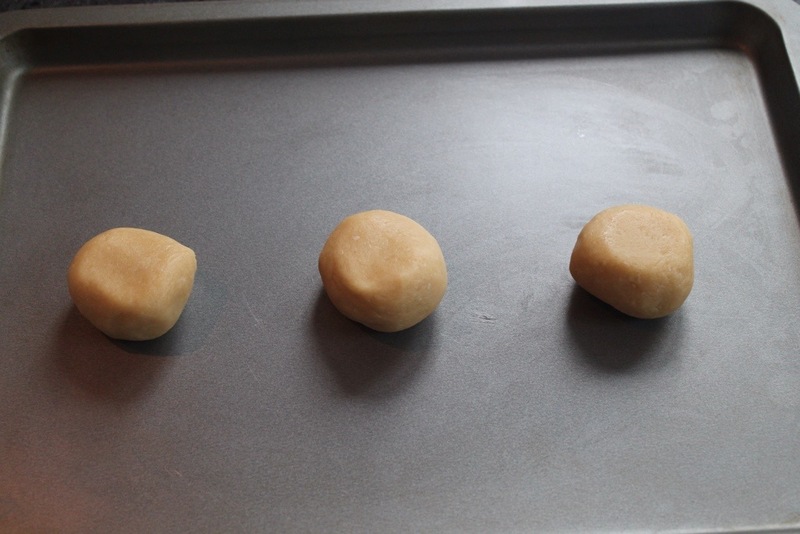 Turn the mixture out onto a work surface and roll it into a large sausage shape about 10 inches long and divide into 16 equal pieces and roll each piece into a ball. 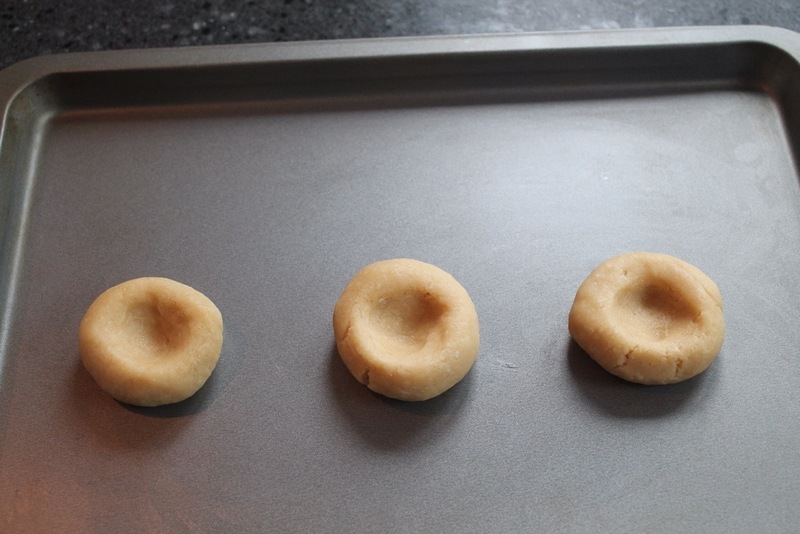 Then place on your prepared baking sheet, and using your fingers, with a little flour on them, flatten them into a fat disc shape and then using your thumb press the centre gently to make a small well. 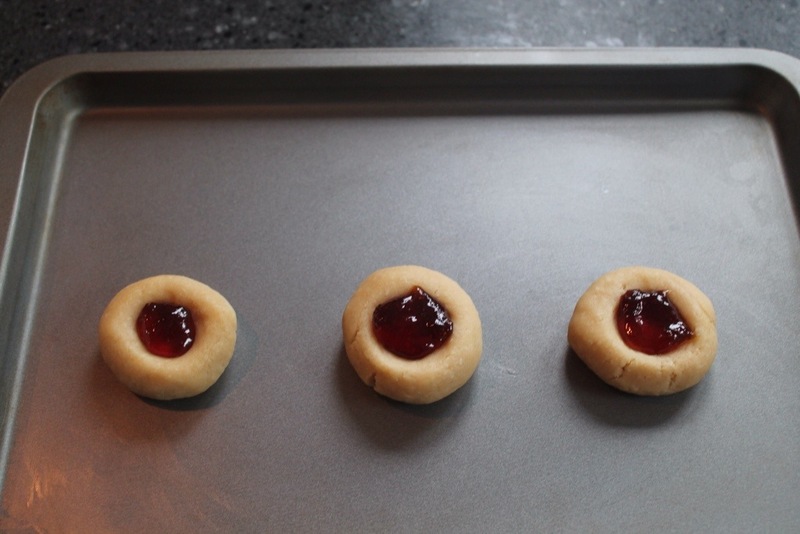 Space them apart to allow for a little spreading, when you have completed this fill the centres with a ¼ to ½ teaspoon of golden syrup or any sweet jam you have and bake in the oven for 10 minutes and then reduce the heat to 170c fan for a further 5 minutes. 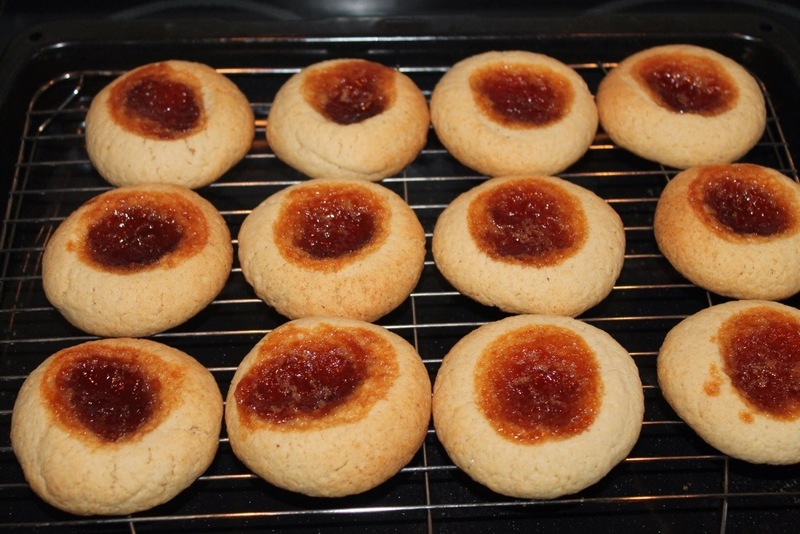 Remove from the oven and let them stand for 5 minutes before placing on a wire rack, remember that the syrup, like jam, holds it heat so be careful not to burn yourself. These are quick and easy to make so do give them a try and let us know what you think. Tags: biscuit, biscuits, cakes, coconut, cookies, golden syrup, sweet. Bookmark the permalink. We call them dodgers coz they reminder BBC1 of jammy dodgers. But as avid Dr Who fans you have us stumped on the dodger reference…and we thought we were geeks!? Omg! Yes! We remember now…lol:-) well done you!